"THz Spektroskopie: Von Graphen und Röntgenlasern zu den Sternen"
"Multi-Messenger-Astronomie und die höchstenergetischen Teilchen des Universums"
"Integrative materials chemistry: from nanoscaled to hierarchically structured materials"
"A test of the gravitational redshift with Galileo satellites 5+6"
"Carrier Injection Efficiency and Impurity Modeling in III-nitride LEDs"
"Nanophotonics with hexagonal boron nitride Collaborative Research"
Application phase for the WiNS Summer school 2019 - "Light, colors, matter: why do we see what we see?" The event will be free of charge for the participants! "Polymer Synthesis Enabled by Interfaces: Towards a world of organic 2D materials"
"Pushing Molecular Spectroscopy to the Extremes"
"Colour Centres in Diamond for Quantum Technologies: Past, Present & Future"
"Building quantum systems from scratch"
"Astrochemistry meets Surface Science: chemical processes at the surfaces of interstellar dust grains"
"Nanophotonic Spin Systems in Diamond and Gallium Arsenide for Quantum Technology"
At the Transfer Lab you lean what kinds of problems entrepreneurs in Berlin face, based on a real innovative challenge and you will be actively involved in developing a creative solution. The offer by Humboldts Wagniswerkstätten ist open to all HU students and scientists. This time, our partner is the Adlershof startup Blindside: They developed a digital platform for professional sports clubs and offers an all-in-one solution for athletic performance and the team building. "Coherent Ising Machines - Optical Neural Network operating at the Quantum Limit"
"Trapped ion optical clocks and tests of the equivalence principle"
"Molecular structures at interfaces from vibrational sumfrequency generation spectroscopy"
"Ultrafast Magnetization Dynamics in the light of fs short X-ray pulses"
Adlershofer Science Slam: "Battle den Horst"
Bei diesem Redewettstreit treten (Nachwuchs-) Forscher gegen-einander an, um das Publikum zu rocken. Die Wissenschaftler werden in der Manier eines Science Slams zehn Minuten lang unterhaltsam und humorvoll über ihr eigenes Forschungsgebiet vortragen. Das Publikum bildet bei Freigetränken und Snacks schließlich die Jury und stimmt ab: Wer hat Adlershof am besten unterhalten? "Semiconductor nanowires for 3D nano-LEDs and hybrid optoelectronic devices" and "Structural and electronic properties of transition metal dichalcogenide monolayers." "Fluctuations, entropy, and rare events in chemistry"
"Nanophotonik für ein energie-effizientes Internet"
dunkle Materie oder geändertes Gravitationsgesetz"
"Group-IV semiconductor nanostructures for optoelectronic device applications"
"Exciton physics of 2D semiconductors"
"Publishing in Nature Research journals"
"The impact of polar layers on the electronic properties of organic/inorganic hybrid interfaces" and "HIOS based on nanotubular J-aggregates"
The Carl-Ramsauer Prize 2018 will be awarded at a colloquium at the Humboldt-Universität zu Berlin. The award nominees will present their excellent work. "The Next Dimension in Mass Spectrometry"
"Hot Brownian particles for your nonequilibrium-statistical-mechanics playground"
"Hydrazone-Based Switches and Functional Materials"
"Designing Selective Membranes from the Ground-Up: A Polymer Scientist's Playground"
"Protein-Ligand Interactions: How Medicinal Chemistry Contributes to the Understanding of Molecular Recognition"
Leibniz-Forschungsinstitut für Molekulare Pharmakologie im Forschungsverbund Berlin e.V. "Optimisation and Applications of a Raman Quantum Memory for Temporal Modes of Light"
The Max von Laue Colloquium of the Physical Society of Berlin in the winter semester 2018/2019 unfortunately has to be canceled. "Chemistry with heavy elements of group 15 - From molecules to materials"
The series of biannual ASOMEA-workshops began in 2001 as a meeting of Swedish and Japanese scientists working with spectroscopic techniques and theoretical modeling for a better understanding of organic electronic materials and related interfaces. Around 50-60 participants primarily from Sweden, Japan, and Germany but also from other countries across the world are expected. The Applied Nanotechnology and Nanoscience International Conference is an annual event that hosts high-profile plenary speakers, world-class researchers, oral and poster presentations, workshops, sponsor exhibits and afterworks. It is a great opportunity to share your research findings with a wide audience, promote knowledge exchange, and network. Ein Gang durchs Periodensystem der Elemente"
"From Functional Molecules to Structural Beauties"
SALSA Summer University "Make and Measure in Analytical Sciences 2018"
"Make & Measure in Analytical Sciences"
Young researchers of all disciplines are invited to present their research projects, ideas and initiatives of social relevance at the Falling Walls Lab Adlershof 2018, the preliminary decision for this year's Falling Walls Lab in Berlin. The winners of the regional preliminary competitions can participate in the international finals in Berlin on the 8th of November. Please apply here by September 15, 2018 at the latest. Symposium of the CRC 951 on "Hybrid inorganic/organic systems for opto-electronics 2018"
"Challenges in Additive Manufacturing: Innovative Materials and Quality Control"
With its outstanding scientific infrastructure and excellent industry Berlin offers ideal conditions for the development of innovative solutions in the additive manufacturing field. The importance of additive manufacturing for Berlin has also been recognized by the Senate and for the first time it is part of the Masterplan Industry Berlin 2018-2021. Berlin Partner for Business and Technology and Bundesanstalt für Materialforschung und -prüfung (BAM) are delighted to invite you to meet several Berlin players and inspiring startups to discuss two decisive aspects in the field of additive manufacturing: innovative materials and quality control. Experience the latest developments in materials and the state-of-the-art technologies for in-situ monitoring. Please find the program in the attachments. The event will be held in English and you will have the opportunity to present a poster (limited capacity). "Van der Waals semiconductors: synthesis to photonic devices"
The Innovation Network for Advanced Materials (INAM) announces the Advanced Materials Competition (AdMaCom), a two week workshop from September 07 to 21, 2017 to be held in Berlin. The AdMaCom addresses scientific driven startups with outstanding technologies and business models in the area of advanced materials and related digital services. From On-Surface Chirality to Molecular Lithography"
The program of this GRC meeting spans a range of topics at the frontier of organic and hybrid electronics and optoelectronics. Areas of traditional strength such as carrier transport or separation in organic semiconductors and devices, physics of organic interfaces, and molecular and polymer semiconductor development will be explored along emerging topics of organic spin physics, metal halide perovskites, organic bioelectronics and novel applications of molecular doping in devices. "Doped Organic Transistors for Bio-electronic Applications"
"The harmony of scattering amplitudes"
"Molecular design of azobenzene photoresponsive compounds: from molecular switches to crawling crystals"
The Science-Pint brings brilliant scientists to the Humboldt-Universtät zu Berlin, SBZ Prüfstand to discuss their latest research and ideas with you. This is your chance to meet the people responsible for the future of science and to have a pint of beer with them. "Precision mass measurement and isobaric space manipulation pave the way for novel applications in biological mass spectrometryLight in / light out - The bright photochemistry of transition metal complexes"
"Single photon emission from defects in 2D hexagonal Boron Nitride"
"FLASHForward into the Future - Challenges and Prospects for Plasma-Wave Acceleration"
"Nanodiamond-based Quantum Materials for Biomedicine" and "Vacuum deposition of two-dimensional van der Waals materials"
"Schnappschüsse von transienten Strukturen und ultraschnellen Dynamiken auf der Nanoskala"
The Integrative Research Institute for the Sciences IRIS Adlershof invites to the one-day symposium IRIS 2018. The focus is on ideas for the further development of the IRIS research areas in the fields zu den Themenfeldern Advanced Microscopies, Hybrid Materials for Optics and Electronics, Mathematical Physics of Complex Systems and Quantum Technologies. The symposium will end with a BBQ at Gerdan's Café. "Quantum cascade laser frequency combs: physics and applications"
growth through in-situ x-ray diffraction"
"Management of the Coulomb interaction in organic LEDs and solar cells"
"Light in / light out - The bright photochemistry of transition metal complexes"
Can one represent the entire knowledge of physics in terms of a cube? Does physics consist of eight `theories’ and six ‘worlds’ that respectively correspond to the corners and surfaces of a cube? May the cube even contain the key to the Theory of Everything? An exhibition of the Department of Physics in cooperation with the Department of Cultural History and Theory addresses these questions (#cubeofphysics). Based on the idea of projecting the corners of a cube onto the triangular surfaces of an octahedron, this exhibition presents an expansive art installation in the foyer of the Department of Physics. The connections between cube, octahedron, physical theories, worlds, and fundamental constants may be explored in an interactive installation, in which visitors take the cube of physics into their own hands. Synthesis of Biopolymer Mimics via Topochemical Reactions"
I, Scientist is a conference for students and young researchers in the natural sciences and mathematics. We aim to provide more female role models, unfold the diversity of your possibilities, and raise awareness of the still persisting inequality between women’s and men’s careers. "Hybrid Inorganic/Organic Systems for Optical Switches" and "Photoinduced Ultrafast Processes at an Organic/Inorganic Interface"
Dieses Jahr kann die Humboldt-Universität zu Berlin keine Tage der offenen Tür anbieten. Stattdessen öffnet sie ihre Türen auf dem Campus Adlershof zum Tag der Naturwissenschaften für Schüler*innen und Studieninteressierte am 22. Mai 2018. Die zentralen Rahmenveranstaltungen geben Ihnen Überblick über Bewerbung und Studium an der Humboldt-Universität zu Berlin. Sie können auch die angegebenen Informations- und Lehrveranstaltungen besuchen, um einen praxisnahen Einblick in das Studium zu gewinnen. Max-von-Laue-Colloquium on: "Quantenprozesse mit Wenig-Teilchen-Systemen: Von Illustrationen zur Quanten-Technologie?" "A closer look: Seeing atoms with a laser"
Hydrogen Atom Transfers, Separated Protons and Electrons, and Oxide Nanoparticles"
"Seeing a Single Atom Where It Is Not"
"Phase transitions in two dimensions: From the hard-disk model to active systems"
"Probing Functions with sub-Molecular Resolution"
"Two-dimensional π-conjugated networks: Electronic properties and impact of lattice symmetry" and "Active control of electro/optical interface properties in hybrid inorganic/organic systems"
"White Phosphorus Activation and Functionalization with First-Row Transition Metal Complexes"
"Insights into molecular electrocatalysis by surface enhanced vibrational spectroscopy"
"Ultraschnelle Elektronenbeugung an Oberflächen: Wie schnell bewegen sich Atome?" "Optoelectronic Perovskite Materials - Opportunities and Challenges for a Sustainable Energy Future"
Bei diesem Redewettstreit treten (Nachwuchs-) Forscher gegeneinander an, um das Publikum zu rocken. Die Wissenschaftler werden in der Manier eines Science Slams zehn Minuten lang unterhaltsam und humorvoll über ihr eigenes Forschungsgebiet vortragen. Das Publikum bildet bei Freigetränken und Snacks schließlich die Jury und stimmt ab: Wer hat Adlershof am besten unterhalten? "Prospects in precision organic monolayer device elements at van der Waals interfaces"
Ceremonial colloquium to celebrate the successful end after two funding periods of the graduate school "Mass, spectrum, symmetry" between Humboldt Universität zu Berlin, TU Dresden, and DESY. In particular, we would like to refer to the lecture given by Professor Lance Dixon, awardee of the Humboldt Research Prize, at 17:00 on "Scattering Amplitudes and Precision Theory for the LHC". "Interface Chemistry for Organic Electronics and Opto-electronics"
"MXenes on the march: Beyond graphene and into the real world"
"Understanding Molecular and Hybrid Crystals from First Principles"
"Measuring photon non-classicality using quantum-dot light sources"
"Luminescent Solar Concentrators: The next generation of transparent photovoltaic devices"
"Space-borne Bose-Einstein condensation for precision interferometry"
"Untersuchung von Wärmeübertrag im Nahfeld auf der Nanometerskala"
"Structural dynamics at surfaces and in thin films probed by ultrafast electron diffraction and microscopy" and "Local geometric and electronic structure of a single naphthalocyanide molecule on ultrathin ZnO layers"
"Materials 'beyond graphene' and mixed-dimensional van der Waals heterostructures"
"Gravitational-wave emission and their multi-messenger signatures"
IRIS Adlershof invites its members and junior scientists to the first IRIS Roots-Day. Within a small IRIS pitch competition, up to ten young scientists will have the opportunity to present their research project in the manner of a science slam in a maximum of five minutes. The three best presentations will be awarded. The first prize is a travel grant, which will enable the winner to actively participate in a scientific conference. The winners of the second and third place can also look forward to attractive prizes. In addition, we are offering the winners a free professional pitch training for participation in the Falling Walls Lab 2018. Let's end the day with a Christmas get-together with mulled wine and a small snack. "Interfacing with the Brain Using Organic Electronics"
"Metal oxide materials as a sustainable and viable alternative for low cost and high performance electronics" and "What van der Waals can do for HIOS, and what HIOS can do for van der Waals"
"Advanced solid-state NMR characterization of surfaces and bulk solids: from small molecules to hybrid materials" und "Materials 'beyond graphene' and mixed-dimensional van der Waals heterostructures"
This workshop helps you develop your creative thinking skills in an unusual setting: where Academia meet Entrepreneurs! The multiplicity of creative and problem-solving skills and strategies that you will work with can be applied in many contexts for finding creative and useful solutions and to increase the potential of your research projects. This time we cooperate with the Adlershofer company ICE Gateway. In the sense of an connected City, ICE Gateway implement an intelligent controlling-system in the outside lightings of cities. Together with ICE Gateway we will search for creative ideas, how they can further develop their Machine-to Machine (M2M)-Services system as an integrated, sustainable and in context of changing needs adaptable solution for Smart Cities. Open to researchers and master students (all fields of study) from HU Berlin. 15. Adlershofer Science Slam: "Battle den Horst"
"Analytical strategies to address cellular uptake and management of palatinum drugs"
"Risiko Energiewende - Wege aus der Sackgasse"
Bereits zum fünften Mal lädt die Humboldt-Universität zu Berlin zu ihrer Veranstaltungsreihe „Wissenschaft trifft Wirtschaft“ ein. Diese Veranstaltungsreihe wurde ins Leben gerufen um den interdisziplinären Austausch von Wissen und Technologie zwischen Wissenschaft und Wirtschaft zu befördern und neue innovative Ideen in der Wissenschaft sowie in der Wirtschaft anzustoßen. Die diesjährige Veranstaltung widmet sich dem Thema Analytik im Nanobereich. Unternehmen werden ihre Forschungsfragen bzgl. des Themas in kurzen Pitches präsentieren. Zudem kommen Forschende der Humboldt-Universität zu Wort, die über ihre aktuellen Forschungsprojekte berichten werden als auch über ihre Erfahrungen in gemeinsam mit Partnern aus der Wirtschaft durchgeführten F&E-Projekten. Die Präsentationen sowie die vertiefende Diskussionen untereinander sollen den Teilnehmern helfen, Ideen für mögliche Kooperationen zu entwickeln und so vorhandene Innovationspotenziale zu erkennen und zu nutzen. Gleichzeitig soll der Austausch auch neue Impulse für die eigene Arbeit an der Hochschule oder in der freien Wirtschaft stiften. Das Event findet auf Deutsch statt und die Teilnahme ist kostenlos. Bitte beachten Sie, dass Teilnahmeplätze begrenzt sind und daher um Anmeldung gebeten wird. Anmeldeschluss ist der 04. Dezember 2017. Die Veranstaltung wird unterstützt von der HUMBOLDT-INNOVATION GmbH, der WISTA-MANAGEMENT GmbH und IRIS Adlershof. "Laser-induced breakdown spectroscopy (LIBS) for geochemical analysis on Mars"
"Snake Venomics - Fascination and Fear"
"Event-ready loophole free Bell tests and beyond"
"Ultrafast electron spectroscopy and microscopy using sharply etched gold nanotips" and "Hybrid colloidal materials based on plasmonic nanoparticles"
Imaging with a single electron and following charge dynamics in solids"
"Elasticity - A powerful probe for the exploration of structure/property relationships"
The Adlershof Research Forum presents the highlights of research in Adlershof and brings together scientists and company representatives. This year, we are awaiting lectures by well-known scientists and entrepreneurs from Adlershof, the top three of the Falling Walls Lab Adlershof and a poster exhibition of young scientists. Keynote Speech is held by the Nobel Prize laureate Prof. W.E. Moerner, Stanford University. Participation is free of charge for all interested parties, but registration is requested at: aff2017 hu-berlin.de. Young scientists, who are researching at the Adlershof location, are invited to participate in the poster session. The best poster is awarded with 500 Euro. "Mechanism of surface-enhanced Raman Scattering (SERS) and its applications"
"Organic nanosheets & perovskite nanoparticles: New fabrication schemes for size and interface control" and "Charge transfer states at hybrid interfaces"
"Gläser und Glaskeramiken für Elektronikanwendungen: Anwendungen in 'Halbleiter-Packages' und in 5G Mobilfunknetzen"
Probing structural rearrangements by strong external fields"
Nanomaterials with the Advanced TEM Tools"
"Röntgenoptische Systeme und deren Anwendung in Röntgen- und Strukturanalytik"
This year on October 10th the Humboldt-University is going to host a regional Falling Walls Lab prior to the international Falling Walls Conference which is to take place in Berlin in November. The event will take place in the Erwin Schrödinger-Zentrum. "Simulationsgestützte Optimierung von Bauteilen mit Hilfe der Wachstumsregel von Bäumen und Knochen – ein Beispiel angewandter Bionik"
14. 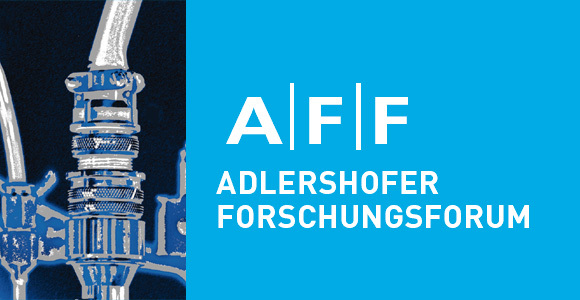 Adlershofer Science Slam: "Battle den Horst"
As a kick-off event for the new program WiNS Adlershof (Women in Natural Sciences) under the umbrella of FiNCA everyone is invite to the film screening of “Hidden Figures” (USA 2016). This summer school will demonstrate NOMAD‘s achievements to academia and industry, and teach novice and advanced researchers how to use the tools we have developed. These tools include the NOMAD Encyclopedia (a search engine for materials and their properties), advanced visualization tools to make physical processes easier to understand, and data-analytics tools tailored for materials science, that will enable the community to predict novel materials with tailored functions. The Innovation Network for Advanced Materials (INAM) announces the Advanced Materials Competition (AdMaCom), a two week workshop from September 25 to October 6, 2017 to be held in Berlin. The AdMaCom addresses scientific driven startups with outstanding technologies and business models in the area of advanced materials and related digital services. Evaluation of the CRC 1109 "Understanding of Metal Oxide/Water Systems at the Molecular Scale"
"Ten years of Nature Photonics"
"Mie-resonant semiconductor nanostructures as a platform for functional nanophotonics"
The workshop features morning lectures that introduce basics and advanced topics. In the afternoons, participants will gain experience in hands-on sessions guided by skilled tutors. The main computational workhorse for the afternoon sessions will be the FHI-aims all-electron code, which embodies all necessary methods. The overall workshop, however, is not designed to teach a single code, but rather to introduce scientific concepts. Organizer: Die Vereinigung der Freunde und Förderer des Instituts für Physik der Humboldt -Universität zu Berlin e.V. "Directed Self-Assembly as a Route to Hierarchical Superstructures in Soft Matter"
(i) What is the origin of Fermi level pinning phenomena? (ii) Can we observe polaron dispersion in organic semiconductors by UPS?" "Testing fundamental symmetries and looking for dark matter with magnetic resonance and atomic spectroscopy"
The President invites all students, staff members of the HU, as well as all employees of the scientific institutions and companies of the Berlin-Adlershof Science and Technology Park, to the HU Summer Festival this year. More guests are welcome! One of the IRIS research fields is "hybrid systems for electronics, optoelectronics and photonics". For this purpose, a state-of-the-art research facility is being built between two existing barracks buildings. Next to the new building, one of these adjacent barrack buildings will also be converted. "The Importance of Colloidal Stability and Reaction Kinetics for the Synthesis of Nanomaterials"
This year on July 5th the Humboldt-University is going to host a regional Falling Walls Lab prior to the international Falling Walls Conference which is to take place in Berlin in November. The event will take place in the Erwin Schrödinger-Zentrum. "Understanding structure/processing/property interrelationships in electron/ion mixed-conductors"
"Metal-Organic Frameworks as Tunable Platforms for Gas Storage and Catalysis"
Night of the Sciences: "Lange Nacht der Wissenschaften"
Experience science: Members of IRIS Adlershof present their projects to the public. "Photoinduced Charge Separation and Recombination in Triarylamine-Naphthalenediimide Dyads and Triads" and "Operating Molecular Photoswitches by Oxidation/Reduction"
"Plasmonic Modes in Nanoparticles and Radiative Heat Transfer"
"Molecular movies using X-ray lasers"
"Multiscaling dislocation modelling und calculation of dislocation-induced stress"
13. Adlershofer Science Slam: "Battle den Horst"
"Highly Oxidized Metal Centers in Water Splitting for Solar Fuels Production"
"Measuring the World - Precision Measurements of Fundamental Properties of Atoms and Nuclei"
"Dielectric and ferroelectric behavior of thin films trialkylbenzene"
From May 30th to June 1st 2017 the second Sino-German Symposium takes place in Berlin, organized by the group of photobiophysics (Humboldt-Universität zu Berlin). More than 50 scientists from China, Germany, the US, Brazil and Ireland will discuss different aspects of singlet oxygen and the photodynamic effect in research, medicine and technology during these three days. "Organic semiconductors: a blessing and a curse"
"Controlled Exciton-Plasmon Coupling in Hybrid Nanostructures" und "Theoretical Spectroscopy at Hybrid Interfaces"
"No Basis Set: Electronic Structure using Multi-Resolution Analysis"
"Phase Change Materials by Design: The Mystery of Resonance Bonding"
Bei der Veranstaltung erhalten Sie einen Überblick zu Schutzrechten und zur Patent- und Lizenzstrategie an der HU. Darüber hinaus bekommen Sie praktische Tipps zu Patente, Marken & Co. und erfahren welche Schutzmöglichkeiten speziell im Bereich Software gibt und was chemische Patente so besonders macht. Auch Praxisbeispiele zum Thema Schutz von Geistigen Eigentum bei Forschungskooperationen mit der Wirtschaft und Schutzrechtsstrategien bei Unternehmensgründungen sind Bestandteil des IP Days. Nach den Vorträgen erhalten die Teilnehmenden Gelegenheit sich bei einem Get-together mit kleinem Imbiss noch persönlich mit den Referent/innen auszutauschen. "Nitrogen Fixation using Low-Coordinate Iron Complexes"
"Towards imaging of single impurities in silicon"
Das Team des Innovation Management des SZF informiert über die verschiedenen Angebote der Humboldt-Innovation zur Unterstützung bei der Antragstellung, Anbahnung und administrativen Abwicklung Ihrer Auftragsforschung sowie wissenschaftlichen Dienstleistungen für die öffentliche und private Hand in allen Größenordnungen. Diese Angebote möchten wir Ihnen gerne persönlich vorstellen. "Risk Perception and Risk Assessment – An important bundle for scientific policy advice "
More than 1,000 pupils are expected, organized in teams, to solve tricky and challenging tasks, to puzzle and have fun with mathematics. As in previous years, the winning team wins a trip to Oslo to win the Abel Prize 2017, one of the most important awards in mathematics worldwide. Germany depends on science, research, technology and education. The growing hostility towards science, especially in western industrial nations, is therefore a serious cause for concern. Whether it’s the denial of climate change or absurd conspiracy theories – increasingly, scientifically proven facts are declared to be untrue while falsehoods are portrayed as „alternative facts“. Research and science are too important to allow them to be used as a plaything of populist interest groups. Organic meets inorganic semiconductor and female meets male research"
Again, female senior scientist from Germany and abroad -experts in the field of inorganic/organic hybrid systems, both very much engaged for gender equality within the scientific community, will join the workshop as invited speakers. Der Gründungsservice der HU unterstützt Studierende, Forschende sowie Alumni der HU bei der Umsetzung ihrer Gründungsidee. Bei der Veranstaltung lernen Sie die Angebote des Gründungsservice kennen und erhalten einen Einblick in die relevanten Förderprogramme für wissenschaftliche Ausgründungen. From 22.3.-25.3.2017 Wolfgang Knoll (Austrian Institute of Technology), Franz Aussenegg (Universität Graz and Erwin-Schrödinger Institute) and Emil J.W. List-Kratochvil (Humboldt-Universität zu Berlin and Member of IRIS-Adlershof) jointly organize the 7th „Nano and Photonics“ meeting in the Castle of Mauterndorf, Austria. This year’s program was put together with a topical focus on “Sensing applications based on plasmonic nanostructures “. Invited speakers include N. Halas from Rice University, E. Maillart from HORIBA Jobin-Yvon, Paris/FRA), G. Strasser from TU Wien, and many others. The purpose of this event is to organize an international scientific meeting for those, who are interested in photonic applications of modern nanotechnology. One goal of this event is also to create an informal European wide discussion platform for state of the art work in basic research done at the various universities as well as industrial based research and development. The location, Castle Mauterndorf, provides an ideal environment to discuss the entire range of topics without any pressure of time, in particular between the morning and afternoon sessions as well as in the evening. This year again it is expected to gather 70 participants from 8 different countries. "Society 3.0+: Can liberty survive the digital age?" This forum will explore digital technologies in the information age, with a careful eye to how different countries and sectors approach the balance between risks, benefits and fundamental rights. Topics covered will include privacy and human rights versus security protection; vulnerabilities versus efficiencies posed by the Internet of Things; communication silos versus unfiltered information; access (denied) to information; and the vision for global cooperation. "Spring School on Condensed Phase Spectroscopy"
Students will be introduced to a range of state-of-the-art spectroscopic and theoretical methods that are being developed and adopted to probe the molecular structure, function and dynamics of increasingly wide-ranging and complex material systems. Lectures will be given by leading experts in all fields of photoelectron, fluorescence and vibrational spectroscopy to provide a comprehensive overview of theresearch status. 12. Adlershofer Science Slam: "Battle den Horst"
"Advanced magneto-optical microscopy of magnetic materials: Magnetoelectric sensors, spin-waves and beyond"
International Symposium of the CRC 1109 'Understanding of Metal Oxide/Water Systems at the Molecular Scale: Structural Evolution, Interfaces, and Dissolution' on: "Metal Oxide – Water Systems"
Atom lasers, solitons, and large momentum transfer beam splitting"
"Quantum optics with trapped ions – from single ion heat engines to ions in vortex laser field"
"Transfer Lab mit der 5micron GmbH"
Für eine konkrete Fragestellung des Adlershofer Physik-Startups 5micron entwickeln die Teilnehmenden interdisziplinär Ideen und lernen vielfältige Kreativitätstechniken und Problemlösungsstrategien kennen. Diese Methodenkompetenz hilft, die eigene Forschung aus angewandter Perspektive heraus weiter zu entwickeln. Das 1.5 tägige Transfer Lab ist ein Methodentraining für Wissenschaftler/innen der HU sowie Master-Studierende. Die Teilnehmerzahl ist auf 12 Personen begrenzt. "Label-free electronic (bio)sensing using carbon nanotubes and graphene"
"How the ideas of soft matter physics help us understand cellular organization"
"Organische Elektronik – vom Molekül zur Anwendung"
"Equilibrium and non-equilibrium fluctuation-induced interactions"
In diesem 2-tägigen Blockseminar werden den Kursteilnehmer/innen betriebswirtschaftliches Grundlagenwissen vermittelt. Zusätzlich soll durch eigenständiges Arbeiten oder in Form einer Gruppenarbeit das vermittelte Wissen in Hinblick auf die eigene Forschung angewandt werden. Auf diese Weise wird das Wissen vertieft und gleichzeitig praktisch umgesetzt. Die Teilnehmerzahl ist auf 12 Personen begrenzt. Alle Teilnehmer/innen erhalten am Ende des Blockseminars ein Teilnahmezertifikat. Colloquium of the CRC 951 'Hybrid Inorganic/Organic Systems for Opto-Electronics' on "Emerging Materials for Nanophotonics and Plasmonics" and "Addressing the challenge of morphology prediction at organic/inorganic interfaces"
"Numerical Quantum Chemistry for complex systems"
"Developments in Ultrafast Transmission Electron Microscopy"
"Advances in Raman Spectroscopy of Graphene and Layered Materials"
"Cross-sectional nanoscale imaging using high harmonics"
"All Optical Control of Solid State Qubits: Towards Platforms for Scalable Quantum Information Processing"
"Controlling the monomer sequence in chain-growth polymerizations"
"Mid-Infrared Quantum Imaging and Spectroscopy"
"The New Era of Gravitational-Wave Astronomy"
Colloquium of the CRC 951 'Hybrid Inorganic/Organic Systems for Opto-Electronics' on "Organic Functionalization of Semiconductor Surfaces" und "Theory of hybrid excitations: coupled plasmons, excitons and photons"
"Ellipsometry in Leipzig - examples for applications and technical developments - special focus: magnetic Spinel's"
"Physik in der Schule neu denken! Zur Schulstudie 2016 der Deutschen Physikalischen Gesellschaft"
Colloquium of the CRC 1109 'Understanding of Metal Oxide/Water Systems at the Molecular Scale: Structural Evolution, Interfaces, and Dissolution' on: "Explorations at the Aqueous Interfaces of alpha-Quartz and Hematite by Nonlinear Optics"
11. Adlershofer Science Slam: "Battle den Horst"
Colloquium of the CRC 951 'Hybrid Inorganic/Organic Systems for Opto-Electronics' on "Towards rational catalyst design? Molecularly engineered frameworks for hydrogen evolution photocatalysis" and "Hybrid charge transfer excitons at metal oxide/organic interfaces"
"Investigating the Electronic Structures and Reactivity of F-Block Elements Bearing Redox-Active Ligands"
"Gravitationswellen, Gezeiten und Strudel der Raumzeit"
"Controlling thin film organic and metal halide perovskite crystallinity and morphology to gain a better understanding of devices"
The annual „Forum for excellent young scientists“, organised by Stiftung Industrieforschung in cooperation with Humboldt-Innovation GmbH, offers an opportunity to young researchers to present their original research results as well as solutions relevant to practical problems. Six scientists present their research (10 min presentation / 15 min Q&A). In the end, the expert jury decides which of the presentations are most convincing and suitable for (prospective) entrepreneurial practice. The three top presenters will receive 10,000 EUR each to fund their research project. The three remaining participants will each receive 2,000 EUR funding. "Networking in the academic context"
"Conformal geometry and Spectral Theoryn"
"Quantentheorie als des Pudels Kern? Zwischen Grundlagenforschung und dem Versprechen neuer Technologien." "Strained Sandwich Compounds as Monomers for Metallopolymers: Syntheses, Structures and Mechanisms"
Seminar of the CRC 647 "Kosmologie"
"On the cosmic no-hair conjecture in the Einstein-Vlasov setting"
"Particle Horizons in the Mixmaster Universe"
"Topologie – Weyl-Halbmetalle und topologische Isolatoren"
"Plasmonic and dielectric nanoantennas: a versatile platform for interdisciplinary nanophotonics"
"Monolithic integration by molecular beam epitaxy of perovskite oxides on semiconductors"
Colloquium of the CRC 951 'Hybrid Inorganic/Organic Systems for Opto-Electronics' zu "Organic semiconductors - molecular design considerations" and "Light-matter interaction in planar plasmonic and metamaterial systems: Equilibrium and nonequilibrium effects"
"Acid Catalysis by Zeolites and Aluminosilicates"
"Novel in situ Raman spectroscopies for the study of electrochemical energy conversion processes"
"Substrate-Mediated Polymorphism in Organic Thin Films"
Colloquium of the CRC 1109 'Understanding of Metal Oxide/Water Systems at the Molecular Scale: Structural Evolution, Interfaces, and Dissolution' on: "CELL - a novel cluster expansion and its applications to alloys and surface systems"
Colloquium of the CRC 1109 'Understanding of Metal Oxide/Water Systems at the Molecular Scale: Structural Evolution, Interfaces, and Dissolution' on: "The making and breaking of bonds in mineral-fluid systems"
As their first big internationally visible activity, the Innovation Network for Advanced Materials (INAM) hold the Advanced Materials Competition (AdMaCom), which is a six-week workshop from August 28th to October 10th, 2016, for developing innovative product concepts with international start-ups. AdMaCom is being held under the patronage of the governing Mayor of Berlin. "Two-Way Deterministic Communication Is Like Sending Plain Text under Quantum Protection"
in Condensed Matter after Light Absorption"
"Probing Nanostructures and Optoelectronic Properties of BHJ Solar Cells by conductive AFM"
"Physics and Mathematics for the End of Spacetime – Der Untergang der Raum-Zeit"
"Kick-off event of the Advanced Materials Competition (AdMaCom)"
As their first big internationally visible activity, the Innovation Network for Advanced Materials (INAM) will hold the Advanced Materials Competition (AdMaCom), which is a six-week workshop from August 28th to October 10th, 2016, for developing innovative product concepts with international start-ups. AdMaCom is being held under the patronage of the governing Mayor of Berlin. "Integrability in Gauge and String Theory 2016"
The integrability of the central force problem is related to breakthroughs in both classical and quantum mechanics. It is widely felt that a similarly idealized model is needed to uncover the mysteries of gauge and string theory in general, and the intricate mechanism of the holographic principle in particular. This is the core topic of the “Integrability in Gauge and String Theory” (IGST) conference series, whose 2016 edition will take place in Berlin. IGST 2016 is part of the KOSMOS summer university program “Integrability for the Holographic Universe”. The registration will open on 1 March 2016 and close on 30 June 2016. "Analytical Sciences and the 'Grand Challenges': A Stakeholder Perspective"
"The Inositol Pyrophosphates Regulate Diverse Protein Domains"
"Funs and Challenges with Polarized Beams"
"Cluster algebras and scattering amplitudes"
"Constraining effective actions via scattering amplitudes"
"Bewegliche und gebundene Elektronen in der Computer-gestützten Energieforschung "
"Ellipsometry: From Electronic Properties to Surface Structures"
"Progress towards artificial photosynthetic systems using molecules and materials containing exclusively Earth-abundant elements"
"Neutrinoless double beta decay searches with Ge-76"
Colloquium of the CRC 951 'Hybrid Inorganic/Organic Systems for Opto-Electronics' on: "Charge Transport Physics of High Mobility Conjugated Polymers" and "Exciting! Ultrafast dynamics in ZnO, at its surfaces, and interfaces with organic molecules after light absorption "
"The Fascinating Physics of Optical Filaments: From Controlled Laser Pulse Compression to Rogue Wave Emergence"
"Dirac isospectrality of lens spaces"
"The fate of the vacuum: from Galileo to dark energy"
"Reductive Activation of Dioxygen by Biomimetic Iron Complexes: Implications for Oxidation Catalysis"
At Pitch Night several teams present their ideas and enter in competition against each other. The teams experience in pitching, get valuable feedback on their business idea and can win great prizes - first prize is the one-month use of the office space in the Co-Working Space in Gründerhaus center! Interested founders have the chance to gain an insight into the Berlin startup scene in beer & snacks. "Physics and Challenges of Quantum Cascade Lasers"
"Oxidische Quasikristalle: Neue zweidimensionale Materialien aus dem Jenseits? " "Highly charged ions for probing the time variation of the fine-structure constant"
Location: Urania Berlin e. V.
Max-von-Laue-Colloquium on: "Particle Physics at CERN: From Higgs-Boson to the dark universe?" Colloquium of the CRC 951 'Hybrid Inorganic/Organic Systems for Opto-Electronics' Lectures zu: "Materials Synthesis and Process Engineering for Flexible Electronics" and "Limitations of energy level tuning at inorganic/organic semiconductor heterojunctions"
Joint Colloquium of IRIS Adlershof and the Department of Physicson: "Some Surprises and Open Questions in Soft Matter"
"A sketch of symplectic field theory and applications"
"Diffeomorphism type of symplectically aspherical fillings"
RamanFest is an international event. This annual conference illustrates the current state of advanced applied Raman spectroscopy through presentations and discussions from today's leaders in this field from both academia and industry. HORIBA Scientific is pleased to announce that its 4 th Annual Conference on Applied Raman Spectroscopy will be held in partnership with IRIS Adlershof, in Berlin (Germany). The organizers cordially invite you to present your work at the Postersession of RamanFest 2016. Abstract submission will be closed on April 04, 2016. "Electronic and Optoelectronic Devices at the Transition from Organic to Hybrid Materials"
"Astronomie mit Gammastrahlung ‒ ein Blick auf die extremen Orte des Universums"
Colloquium of the CRC 951 'Hybrid Inorganic/Organic Systems for Opto-Electronics' Lectures on: "Solution Processed Semiconductor Composites for Photovoltaic Applications: On the Correlations between Microstructure, Performance and Lifetime"
"Singlet Fission – Search for New Structures"
Vor 75 Jahren stellte Konrad Zuse mit dem Z3 den ersten voll funktionsfähigen, programmierbaren Computer der Welt vor – das digitale Zeitalter begann in Berlin. Der Computer hat die Welt seitdem verändert – und das mit zunehmender Geschwindigkeit. Im Alltag, in der Arbeitswelt und Wissenschaft spüren wir: Die größten Veränderungen der Digitalisierung liegen noch vor uns. Internationale Top-Wissenschaftler und herausragende Vor- und Querdenker kommen am 11. Mai 2016 nach Berlin, um sich mit Ihnen über die Zukunft der digitalen Wissenschaften in Wechselwirkung mit der technologischen Entwicklung und gesellschaftlichen Prozessen auszutauschen (Konferenzsprache Englisch). "Making heavy elements in the process of galaxy evolution"
"Exploring the limits of the Standard Model"
Colloquium of the CRC 1109 'Understanding of Metal Oxide/Water Systems at the Molecular Scale: Structural Evolution, Interfaces, and Dissolution' on: "Designed Hybrid Organic-Inorganic Nanobuilding Blocks for supporting Palladium Catalysts." Speaker: Prof. Vuthichai Ervithayasuporn, Ph.D.
Colloquium of the CRC 951 'Hybrid Inorganic/Organic Systems for Opto-Electronics' Lectures on: "The Alchemy of Vacuum - Hybridizing Light and Matter" and "Towards fundamental nanophotonic devices using surface plasmon polaritons"
Colloquium of the CRC 1109 'Understanding of Metal Oxide/Water Systems at the Molecular Scale: Structural Evolution, Interfaces, and Dissolution', lecture on: "The transition to the dark side: making Kohn-Sham DFT give the right answer for the right reason." "Lorentzian manifolds with special holonomy"
"Cauchy problems for Lorentzian manifolds with parallel spinor"
Colloquium of the CRC 'Understanding of Metal Oxide/Water Systems at the Molecular Scale: Structural Evolution, Interfaces, and Dissolution' on: "The name is bond - Hydrogen bond." "Evaluating Feynman integrals by uniformly transcendental differential equations"
"Der Weg zum Verständnis von Quarks und Gluonen: die Berechnung der starken Kraft auf Supercomputern "
9. Adlershofer Science Slam: "Battle den Horst"
"On Biomineralization: structure-function relations and mechanisms of formation of some incredibly sophisticated biogenic materials"
"A new window to the universe: gravitational waves detected"
""Spectroscopic Characterisation of Surfaces, Interfaces, and Low-dimensional Structures"
"Bridging gamma and neutrino astrophysics at the Humboldt University of Berlin"
"On physical conditions which impose precise mathematical problems"
"Differential Geometry in the Strominger System Problem"
Colloquium of the CRC 951 'Hybrid Inorganic/Organic Systems for Opto-Electronics' Lectures on: "Supramolecular Photosystems based on Perylene Bisimide Dyes" and "Coupled Nanotubular J-Aggregates and Quantum Dots for Efficient Resonance Excitation Energy Transfer"
"Quantum Field and String Theory"
"Chemie als Waffe und die Antwort der Diplomatie"
"Fundamental Processes in the Molecular Electrical Doping of Organic Semiconductors"
"Hunting for the elusive waves created by black holes and neutron stars"
"Polymerizing goblins and brimstone for energy & defense applications"
"The Fascination of Lanthanides for Ultracold Quantum Physics"
"Moduli of abelian varieties: homology and compactificationsy"
"Moduli of abelian varieties: uniformization"
Colloquium of the CRC 951 'Hybrid Inorganic/Organic Systems for Opto-Electronics' on: "Metal-oxide based charge extraction and recombination layers for organic solar cells" and "TCO-based infrared plasmonics and hyperbolic metamaterials"
The "Hybrid-Photovoltaics 2015 Symposium" is the concluding event of the Helmholtz Energy Allianz "Hybrid photovoltaics". The organizers cordially invite you to present your work at the Hybrid-Photovoltaics 2015 Symposium. Abstract submission will be closed on 22 Nov 2015. On 8 December 2015 Humboldt-Universität zu Berlin, HUMBOLDT-INNOVATION and Berlin Partner will jointly present the 4th knowledge and technology transfer event of the series Wissenschaft trifft Wirtschaft (WtW, “Science meets business“). This year’s event focusses on Advanced Materials. The new event format aims at bringing together research and application. We invite companies to present their research questions in the field of Advanced Materials as a short pitch to an audience of scientists and other (local) businesses. At the event, researchers will have the chance to learn about current and future challenges companies face working with new materials. At the same time, HU scientists from the Integrative Research Institute for the Sciences IRIS Adlershof and the Physics and Chemistry Departments are going to showcase their successful application-oriented research cooperations with third parties. Scientists and companies will have ample opportunity to network and to discuss their research subjects in more detail in the course of the day. The event will be held in English and participation is free of charge. Space, however, is limited. If you would like to attend, please e-mail Ms Wei (tianni.wei events.humboldt-innovation.de) with the following information: name, surname, company/institution, position and e-mail address. "From dynamically self-assembling materials to chemical reactivity in confined spaces"
"Allgemeine Relativitätstheorie - von der Grundlagenforschung zur angewandten Physik"
"A 3D view of the world of atoms: Frontiers in Transmission Electron Microscopy"
Colloquium of the CRC 951 'Hybrid Inorganic/Organic Systems for Opto-Electronics' on: "First-Principles Based Multiscale Modeling of Dynamical Processes in Hybrid Materials Systems" and "Multi-Scale Modeling of Step-Edge Barrier Crossing in HIOS"
8. Adlershofer Science Slam: "Battle den Horst"
"Electron Diffraction at Surfaces: By now Ultrafast!" Symposium on "Chemistry & Physics of Macromolecules"
Six scientists present their research (10 min presentation / 10 min Q&A). In the end, the expert jury decides which of the presentations are most convincing and suitable for (prospective) entrepreneurial practice. The three top presenters will receive 10,000 EUR each to fund their research project. The three remaining participants will each receive 2,000 EUR funding. "Finding the Material Needle in the Haystack through High-throughput Ab Initio Computing"
Die HU und die IGAFA e.V. veranstalten am 11.11.2015 das dritte „Adlershofer Forschungsforum“, diesmal zu den Themenfeldern Licht und Zukunftsstadt. Als ganztägige Standortkonferenz soll das Forum einen Überblick über das „Adlershofer Wissen“ und Gelegenheit zum Austausch geben. Dazu werden themenbezogene Workshops und eine Posterschau stattfinden. Das beste Poster wird mit 500 Euro prämiert! Der diesjährige Gastredner wird Prof. Dr. Dr. h.c. mult. Martin Grötschel, der designierte Präsident der Berlin-Brandenburgischen Akademie der Wissenschaften sein. "Taking you all on a stochastic tour with Lutz Schimansky-Geier"
Vortrag zum Thema: "An index theorem for compact Lorentzian manifolds with boundary"
Vortrag zum Thema: "The gravitational chiral anomaly and index theory for hyperbolic operators"
"A Classical Mechanics Approach to Understanding Electromechanical Coupling in Solids"
"Funktion und Dynamik auf atomaren Skalen"
"Nonlinear optics in two different regimes: Cold atoms and whispering gallery resonators"